Why Set A Tip Preference? 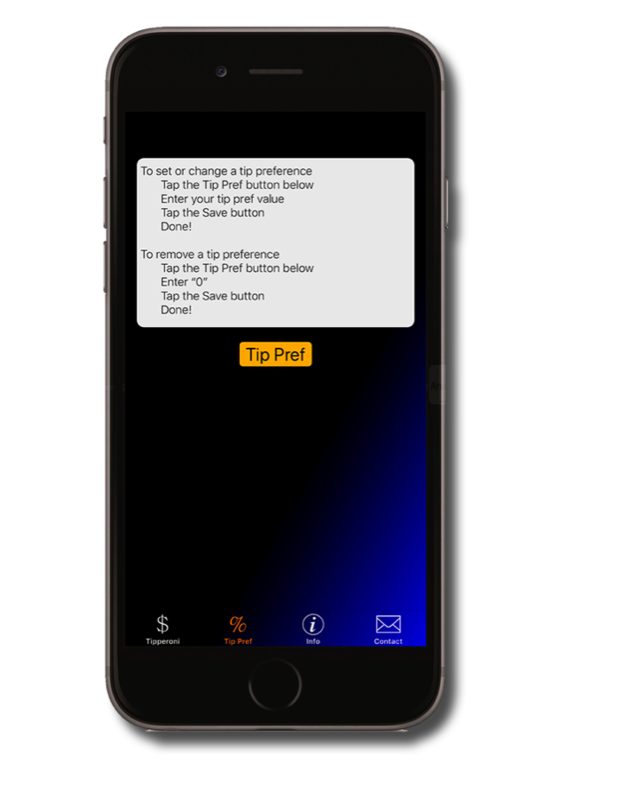 Setting a tip preference is a time saver because you will not have to enter it every time you use Tipperoni. You can override your tip preference any time so you are not locked into your tip preference value. The Data view reveals your tip preference in bold, red font. The active tab bar button has changed from orange to red as well. 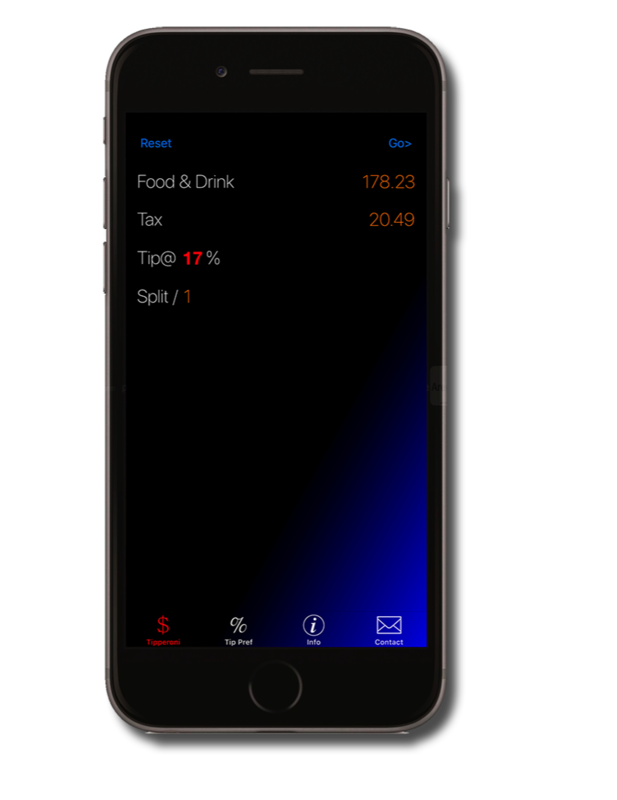 The font is in red to indicate that a tip preference has been set. The font is BOLD to help those user's who are color-blind determine whether a tip preference has been set or not. 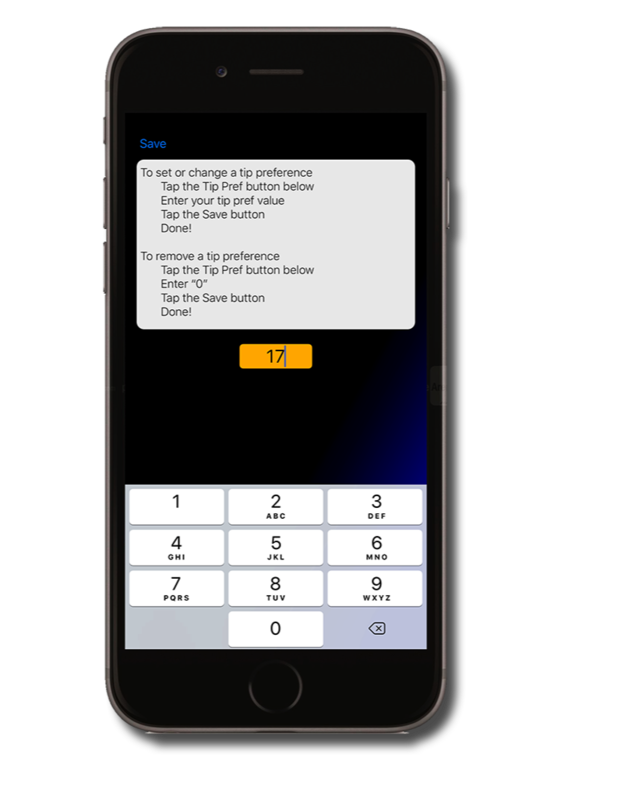 Pressing the Reset button will have no affect on your tip preference setting. The tip preference value can be overridden any time without having to reset it. To clear your tip preference, return to the tip preference view and enter "0". After tapping the Save button and returning to the Data view, you will see that the font and tab bar button have changed back to their default orange font color.